Why All Students Should Practice Sparring Techniques Many students, irrespective of age, enjoy sport training and so they should. When practicing sparring movements’ students learn to become faster technically, increase their power, learn tactical movements, focus their techniques on target paddles, improve their reflex time and increase their fitness levels. This type of training is crucial if students want to be an overall martial artist and they should try to combine their traditional training with their sparring techniques. A good martial artist should try to be accomplished in every element of the martial art. This however, does not mean that each and every Taekwondo practitioner either wants or feels they have to enter sport fighting competitions and compete. Who tends to compete at a competitive level? In general approximately only 5% of Taekwondo practitioners practice sport fighting at a competitive level, whether it is local, national or international. This is simply because to be competitive especially at a high level requires a high level of fitness, confidence, flexibility and reaction time which unfortunately as many people will know deteriorates with age! Also many people do not have the certain mentality needed to be a successful Taekwondo competitor and so do not wish to enter the ring. That is absolutely fine, everyone is an individual and can decide whether they want to compete or not. Even so, sparring training, whatever your level, can definitely help improve your overall training especially if it is combined with traditional Taekwondo. Why basics are important to fighters? In general the best fighters have excellent technique. They understand about breathing, footwork, balance, hip movement, technique, reaction force; every single element that you learn in your traditional Taekwondo training. The better you are technically the more chance you have in the ring. A lot of competitors don’t understand that in order to be successful in sport you need to practice your basic technique, for your basics are the foundations of your martial art. What is important to a fighter in the ring? Focus of technique, power, accuracy, speed, balance, control, technique, footwork; all these qualities you practice in your everyday training with the rest of your class. 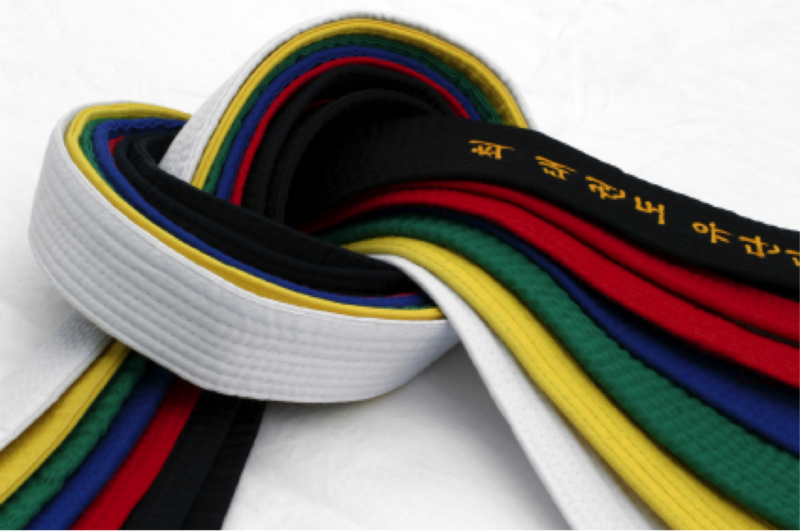 Only by practicing traditional Taekwondo alongside your sparring training will you reach your full potential as a martial artist and a sport competitor. Sport Taekwondo is an important part of public recognition. Because of the Olympics money now gets pumped into the sport which it has never had before. The effect being that Taekwondo is now widely recognized and is no longer classed as a minority sport. However, it is important that the public also get a glimpse of what the true martial art is. The martial art is about discipline, control of body and mind and respect, therefore it is important that those students who only want to compete remember the true foundations of the martial art and don’t just think about the sport, because the two are completely different entities.